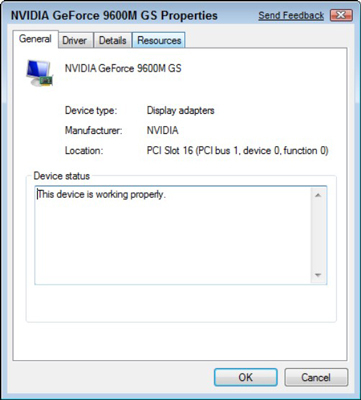 Having a decent graphics card is a big deal on a Windows 7 computer. If you’re upgrading an older desktop PC to Windows 7, you might want to take the time to upgrade the graphics card, too. Although digging into the guts of your machine can be a bit intimidating, as long as you do your homework, the process is really quite painless. If you’re not sure whether you need to upgrade, check out your PC’s WEI score. 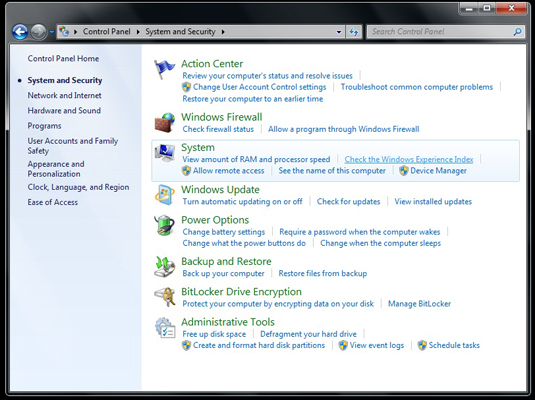 From the Control Panel, click System and Security and then click the Check Your Computer’s Windows Experience Index Base Score link. These instructions are for desktop computers only. Laptops are a completely different animal and require different procedures. You have to open your CPU for this procedure, and you’re in danger of severe electrical shock if you leave your computer on or even plugged in while you play around inside it. Whenever you’re working inside the CPU, you need to watch out for static shock. Be sure to work on a non-conductive surface and touch your screw driver to a ground before placing it in the machine. Open the CPU and locate the graphics card slots. Refer to your computer manual to determine how to open the CPU and where graphics cards can be inserted. Before you buy a new graphics card for your computer, make sure that you read the manual and get the right kind. There are several different types of graphics cards out there, and it can be easy to waste your money on one that won’t work with your PC. Plug the graphics card into the appropriate slot, close your computer, and replace any screws. Make sure that everything is securely reconnected before attempting to turn on the PC. Windows detects the new card and installs appropriate drivers. Choose Start→Control Panel→Hardware and Sound→Device Manager. 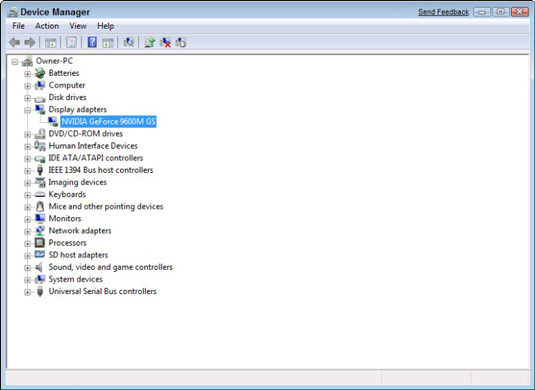 The Device Manager holds information about each installed component on the PC. Click the plus sign next to Display Adapters, right-click the graphics card that you installed, and then choose Properties. You see system settings for this card. The Device Status tells you whether it’s working properly. If you want to see how much of a difference the new card made to your WEI score, you need to update the score. From the Control Panel, click System and Security and then click the Check Your Computer’s Windows Experience Index Base Score link. Click Update this score on the right. After a few minutes, Windows 7 will provide you with your new and improved score.